Andrew J. Muirhead, Esq. 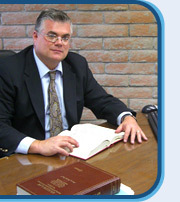 is a Social Security Disability lawyer located in Phoenix, Arizona with offices in Kingman, AZ and Yuma, AZ. Were you denied Social Security benefits? Are you unable to work because of a serious physical or mental condition? If you have been turned down by Social Security or are interested in filing a claim for disability benefits, Mr. Muirhead can help guide you through the complicated and complex legal process. Mr. Muirhead has been involved in the Social Security Disability field for over 22 years with over 10 years as an attorney. Mr. Muirhead's first experience began as a benefit authorizer with the Social Security Administration. The valuable experience he learned with Social Security has provided Mr. Muirhead with the experience necessary to assist client’s in their disability claims. After graduating from law school in 1999, Mr. Muirhead opened his firm limiting his practice to Social Security Disability and SSI claims. Over the last 10 years, Mr. Muirhead has successfully represented over 2000 disability claims and continues to assist the disabled community. From the first initial visit to the hearing, Mr. Muirhead personally handles all cases and Mr. Muirhead is the only attorney you will deal with in his firm. Unlike the national law firms and even the local law firms who never even meet their attorney, Mr. Muirhead is always available to meet or speak with his clients. For cases that go to hearing, Mr. Muirhead will meet with his clients to review their file and prepare them for the hearing and on the day of the hearing, Mr. Muirhead will be there to make sure that an equitable decision is reached in your case. Andrew J. Muirhead believes that his role is to assist not only his clients but also the disability community. As a result, Mr. Muirhead continues to be an advocate with a number of homeless organizations, the mental health community as well as a number of disability support groups. Mr. Muirhead advises anyone who thinks they have a case to call for a free consultation. To better serve his clients, if there is no recovery, there will be no legal fee. If you want the maximum Social Security and SSI benefits that you deserve, consult with Andrew J. Muirhead, Esq. today. Contact Mr. Muirhead for more information or a free consultation today!